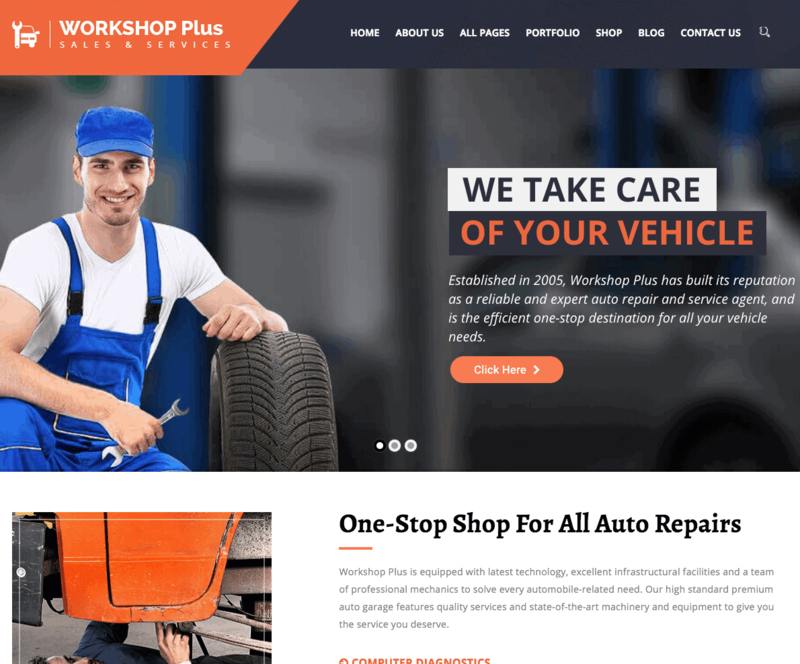 Design a highly functional, efficient and attractive workshop for your auto-related services like workshops, auto mechanics, car repair shops and garages with the Workshop Plus WordPress theme. This theme allows you to quickly set up your website and showcase all your services in an interesting format at a nominal price, allowing even a novice to create a professional looking website. Extensive customization options give you the flexibility to personalize every element, from the logo to the colors, to suit your individual taste. All necessary website features like Portfolio, link to blog page, customer testimonials, forms for customers and more can be added by the simple drag and drop option in the Visual Composer. Furthermore, the responsive design powered by Bootstrap ensures your website is easy to navigate and use on any handheld device or computer screen. Apart from the dedicated support channel and extensive documentation, you also have the facility to install the Workshop Plus Demo and explore the features prior to making your purchase. Purchase the theme today and enjoy a powerful and practical website that effectively caters to all your auto business needs.